The concept started with a vision of our company and the requirements from brands to offer environmentally friendly Leather. LITE was born to provide our customers with the knowledge of carbon and water footprint usage for each of the leathers we create; giving customers the ability to choose the product that is the most environmentally-friendly, and with the lowest footprint. The LITE system is fully integrated into our manufacturing process, which is specially designed to reduce and control water and energy usage, as well as to reduce the amount of chemicals we use in the process. The effort we make is consistently minimizing our impact to the environment. We use it to heat our production water and replace diesel oil usage. 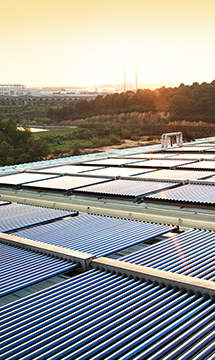 65% of hot water is heated with solar energy in Saigon TanTec. 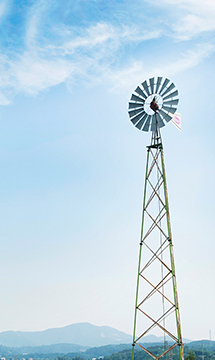 Wind power is used to pump the rainwater from the lagoon into the production process, saving 5,189 kwh per year and reducing 4,006 kg CO2 emission. 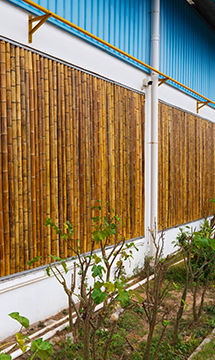 Instead of building a concrete wall, we’ve constructed a bamboo wall. This method not only provides comfortable, natural ventilation for our employees, but also saves energy on limited use of electric fans. Approx. 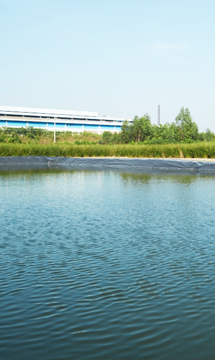 27,300 tons of rainwater is collected by our lagoon per year,which is used for production and greenery by wind power, saving 5,189 kwh per year and reducing 4,006 kg CO2 emission. 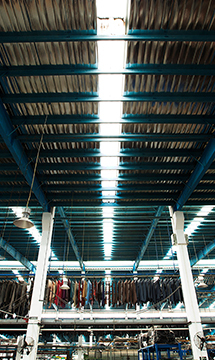 We’ve adopted green building technology by using translucent slabs on our ceiling to utilize natural sunlight during the day which reduces energy. 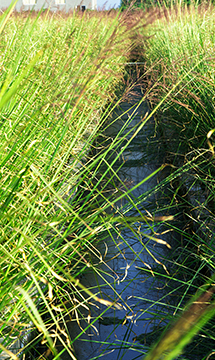 We have constructed a wetlands system with a timed, automated control for water level. This advanced tertiary treatment technology allows for natural purification without generating any emission. Furthermore, it creates biomass fuel and helps reduce our carbon footprint by 245kwh/year/sqm or CO2 189kgs/year/sqm. 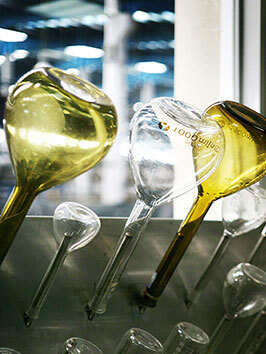 Our Restricted Substance List (RSL) is an integral part of our commitment to product safety. As one of the world’s largest leather manufacturers, we continue to make significant investments into the ongoing research of chemicals that are known or suspected to be harmful to the environment. In order to guarantee best practices, we have built our own “ISA Restricted Substance Management System”. This includes a comprehensive database with all of the chemicals we believe could be problematic in the future. Together with our employees, we as a global leather processing group strive to process leather with realization on the LITE (Low Impact To Environment) concept and under the best safety conditions. 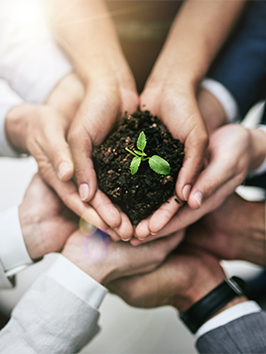 The prevention of pollution is ensured by maintaining and continually improving the Environmental Management System and complying with laws and regulations.